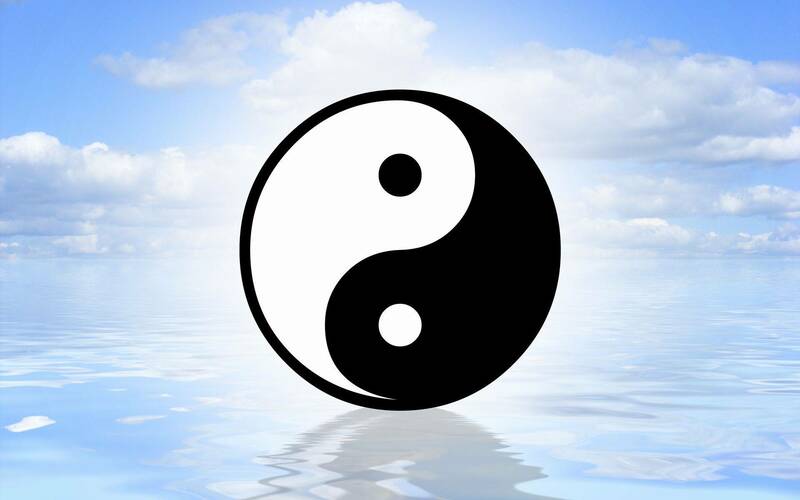 You know the long awaited film with Jean Claude Van Damme titled ''Weapon'' ? . it was to be directed by Russel Mulcahy and co-star Steven Seagal , Seagal would play a assassin like Jean Claude's character and the two would come together to fight a Kingpin. .
Well don't wait for it ,as this is it , you may have noticed a change in title ,co-star and director and even the story has taken a slightly different turn to. Weapon was to mark a return to the big screen for Van Damme and Seagal ,and what better way then for the two to star together. Looks like it will never happen Now. 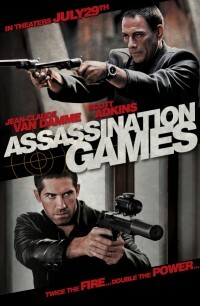 Though Assassination Games has had a cinema run in the States which is a start for Van Damme's big screen return (look out for Expendables 2 and the next Universal Soldier ) here in the UK Assassination Games has come straight to DVD . So who have they found to co -star with the Muscles from Brussels? Well returning to star with Van Damme is Scott Adkins (Scott starred with Van Damme in The Shepherd) , I am so glad they didn't go with Vinnie Jones (he was the choice after Seagal) . Vinnie Jones may be great as the thuggish loud mouthed character ,but for a role of this kind the more calmer Martial artist Scott Adkins (Ninja) is a fine choice. 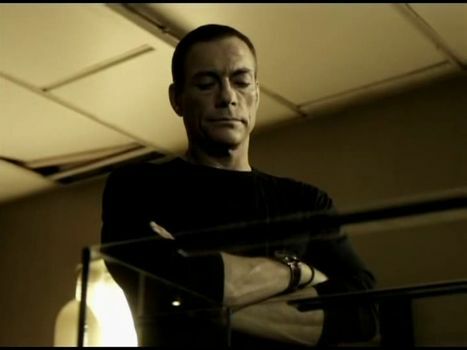 Jean Claude plays Brazil a highly skilled hit-man for hire but when he is given a job that gets botched because of the intervention of one ''Flint'' ( Scott Adkins) a retired hit-man who gave up the life after his wife got involved in one of his jobs and now lays in a coma. 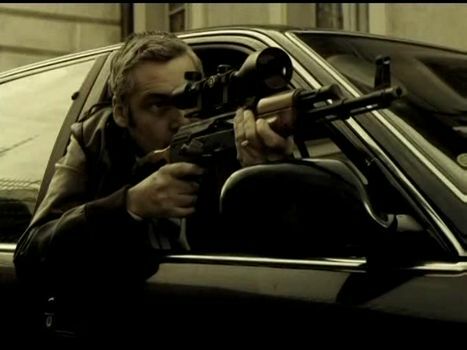 Flint looks after her and prays for the day she awakes, but when a job gets offered him ,he at first refuses ,but when he hears it's to kill the guy (POLO) that's responsible for his wife’s condition ,of course he can not refuse. The fact that both Flint and Brazil are after the same guy causes a few problems . When Flint foils Brazil's attempt to kill Polo by attempting to kill him himself. Both fail,but Brazil's arrow has hit Polo's brother and killed him ,it is Brazil that will start to get the flack as his trademark use of Bladed weapons and arrows leaves him open for identity. Now Brazil who has bee careful to do things quietly and with stealth finds himself in the spotlight as Polo vows to find his brothers killer. Of course Flint is still intent on getting to Polo and it's this that will result in our two hitmen coming together in a face off . Together they agree to get to Polo ,but behind the simplicity of the union are two Dirty Interpol agents Culley and Schell (one played by Van Damme's own Son Kristopher Van Varenberg) ,they have played Flint into doing their dirty work and cause more problems as they want to arrest Flint and are using Brazil to get to him. Now what you all want to know is does the film deliver in the action stakes , well in later years JCVD has been starring in more deeper roles where he plays a deeper character compared to his earlier works. Here his role is one of a man who's quite and keeps himself to himself , he surrounds himself with the finer things in life to escape his job. Flint on the other hand ,is a man on the edge after his wife was beaten by Polo and left comatose ,he has given up on his killing life to care for her . Now his only wish is to get revenge and put matters straight. The action in the film is spaced out and it's really only in the second half of the film that it starts to get going ,a lot of background story is told ,flashbacks used to depict Flints nightmares of the day Polo ruined his life. JCVD has some nice scenes as the Knife expert ,and Scott Adkins gets to show some fast paced antics though they are short and sweet. Kevin Chapman as Culley the Interpol agent is pretty good and a familiar face to British audiences. Even Van Damme's daughter stars as the comatose wife of Flint ( not a hard role ,laying still) ,so it's all a bit of a family affair. 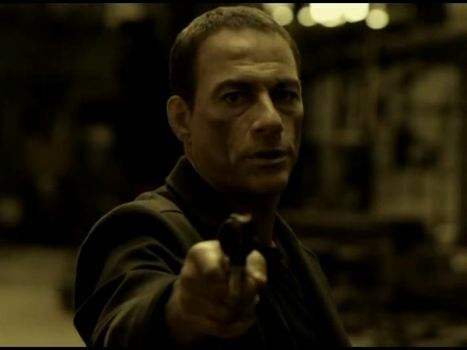 If you liked previous JCVD films like 'Until Death'' or ''The Shepherd '' your probably like this ,but don't go expecting long fights like his earlier works , this is get in one or two hits and get the job done type of fighting . Van Damme as cool as ever. That is until you mess with Him ! Ninja - Bringing the Ninja up to date ,Issac Florentine directs Scott in the top B-movie. Undisputed 2 - Scott stars alongside Michael Jai White in this prison fighter.